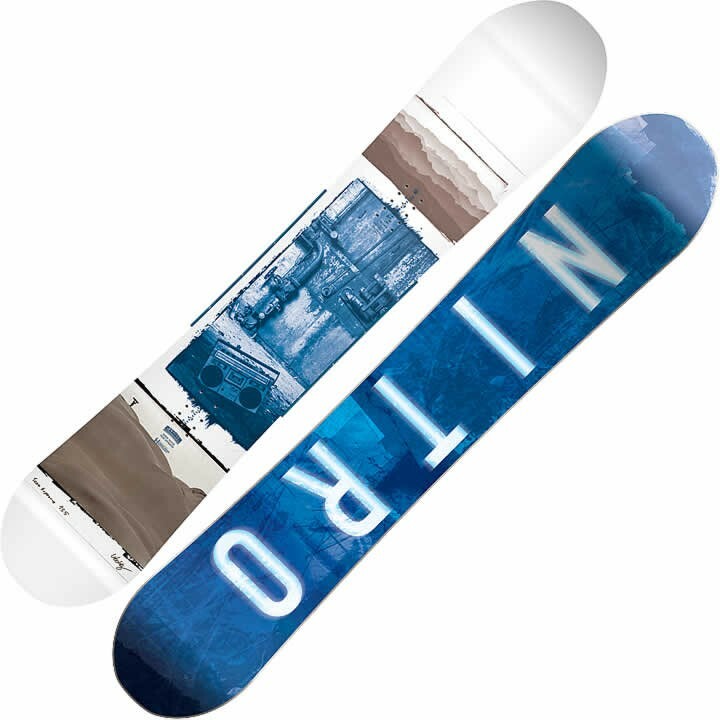 Inspired by the creative ways of capturing experiences through photography - the Nitro Team Exposure Snowboard is your vehicle to create your own experiences with Nitro's most trusted all terrain snowboard. The only way to upgrade Nitro's most popular, versatile, and reliable TRUE Camber snowboard is to add some amazing artwork by Nitro's world-renown photographer Lorenz Holder, who created a graphic series that captures the passion of catching and showcasing the moment. He has projected these images onto the top sheet graphic by using the old school technique of Sun Printing (using the sun to develop the image). Snowboarding on the Team Exposure board is the same way; it is the perfect shred stick to use your imagination and experience the best moments life has to offer. Now get out and create your own artwork in the snow.